At Okotoks Honda, service is more than just taking care of your vehicle. It’s making sure you’re taken care of throughout the entire ownership experience. Whether you’re coming into the dealership for scheduled maintenance, looking for help out on the road, or in need of assistance setting up your vehicle’s features—we’ll make sure you’re treated exceptionally well every single mile. Because our primary focus is offering first-class service for every guest who walks through our doors, we naturally want to continue meeting and exceeding the expectations of our clients in Okotoks, Calgary, and surrounding areas, which is where our VIP Valet & Concierge Service comes in. We’re happy after purchase, as often as you would like, to walk you through all of the features on any vehicle you buy from us. This includes technology features, personal settings, and more — we want to help you make the most of your purchase. Your personal Brand Ambassador is here to handle any questions you may have and will point in the right direction to getting those questions answered. If you have any questions about the vehicle you’ve bought or leased from us, just come back to our dealership at any time to speak with your personal Brand Ambassador. Whether you picked up your model a day ago or a year ago, they’ll review everything and provide the assistance you need. We just see it as a natural extension of our commitment to our customers. As your destination Honda dealership, South of Calgary is one of the few dealerships in the Calgary area that will offer you a complimentary VIP Valet and Concierge Service including 15 loaner vehicles to use while we service your vehicle. 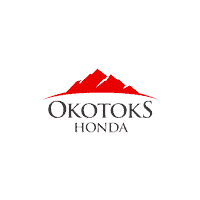 In addition to this, Okotoks Honda offers complimentary vehicle pick-up from your home or office for any service.